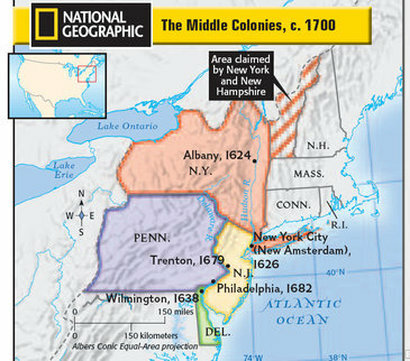 The Middle Colonies were founded by proprietors who wanted to make money. They divided the land into small farms and sold it to colonists. The Middle Colonies provided good land for farming because they had fertile soil, rolling hills, a longer growing season, and sunny weather with plenty of rain. They also had wide rivers ideal for transportation and trade. The Middle Colonies had plenty of wildlife – used for food and fur trading. 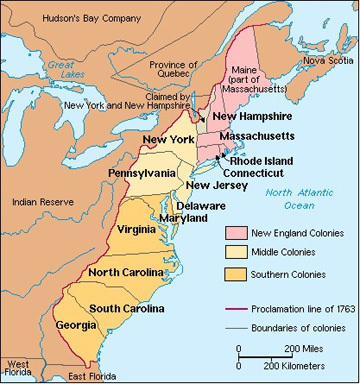 Proprietors were still in England, so they hired governors to run the colony. Representatives were elected by colonists to help the governor. Colonists were free to buy and sell goods – people (not government) decided what to produce. William Penn (Pennsylvania) believed in tolerance of all religions. Quakers had been killed in England but could worship freely in colonies. Much religious tolerance lead to diversity of cultures. Pennsylvania tried to work with the local Native Americans – set up fair treaties to buy land from Native Americans. Benjamin Franklin started Philadelphia’s first newspaper, library, and hospital.